AMES, Iowa ­­– An Iowa State University sophomore studying agronomy and global resource systems is the 2017 recipient of an endowed scholarship honoring global food security advocate David Lambert. 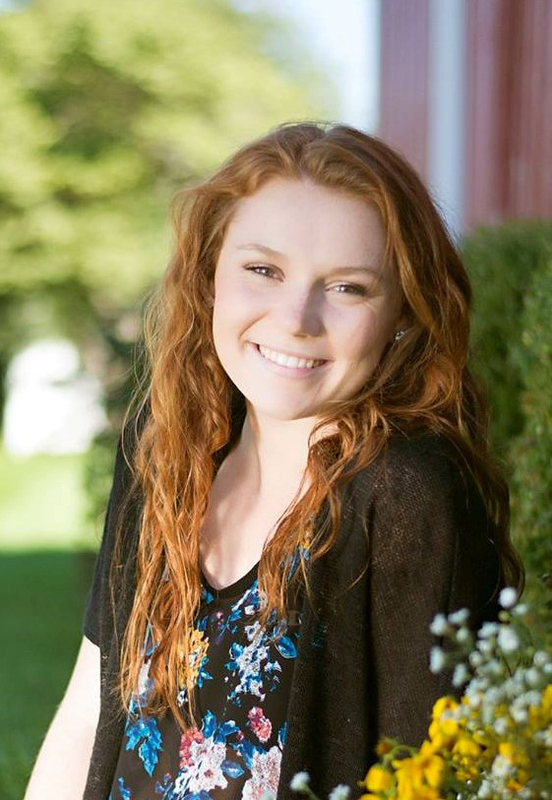 Emily Hugen from Monroe, Iowa, received the David Lambert ‘Hunger Fighter’ Memorial Scholarship honoring Lambert’s lifetime efforts addressing global food security and child malnutrition. The presentation was made during a luncheon held in conjunction with the World Food Prize’s 2017 Borlaug Dialogue International symposium. “David Lambert was one of the most passionate hunger fighters that I have ever encountered in my fifty-year career,” said Ambassador Kenneth M. Quinn, president of the World Food Prize. “Emily Hugen, through her involvement in Uganda, as well as her participation in the World Food Prize/USDA Wallace Carver Fellowship Program, has demonstrated that same level of commitment, and is therefore a most worthy recipient of the David Lambert Scholarship." Hugen, a student research assistant for the USDA National Laboratory for Agriculture and the Environment, is passionate about global food security. During her college career, she has participated in study abroad trips to England and Uganda. In Uganda, she learned about subsistence farming and worked to improve school gardens at elementary schools in the Kamuli District. Hugen worked with teachers in grades five through six to deliver curricula in food and agriculture, which integrated science and nutrition, and also taught mathematics to 80 students. She also worked with colleagues to develop a sustainable and healthy school lunch program and was part of a bi-national team that researched soil improvement strategies to raise pH levels and increase macronutrient soil content. In 2018, Hugen plans to use her agronomy and development skills in another study abroad trip to Uganda. She plans to take part in the Semester by the Nile class, an Iowa State program that works with the community and schools in the Kamuli District. “I want to continue broadening my perspective in understanding cultures, and play a role in empowering others to improve their quality of life. It is my dream to impact households, communities, regions and countries to improve health and reduce poverty,” Hugen said. Administered by the Seed Science Center at Iowa State, the $1,000 ‘Hunger Fighter’ scholarship is awarded to one sophomore or junior each year who exhibits a demonstrated interest in seed science, global food security and/or childhood nutrition. Recipients are selected based on academic excellence, leadership skills and interpersonal skills. Manjit Misra, director of Iowa State’s Seed Science Center agrees. The Seed Science Center is a center of excellence in seeds at Iowa State University. Its mission is to improve the production, quality assurance, marketing, utilization and regulatory environment of seed through research, testing, teaching, outreach and international programs. "It is my dream to impact households, communities, regions and countries to improve health and reduce poverty." Emily Hugen, a sophomore studying agronomy and global resource systems, is the 2017 recipient of an endowed scholarship honoring global food security advocate David Lambert. 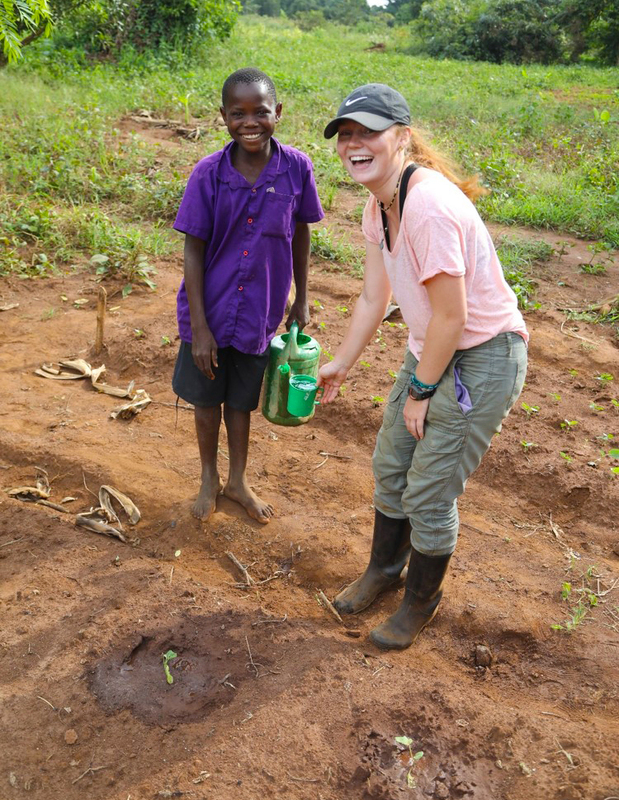 Emily Hugen worked in Uganda to improve school gardens at elementary schools in the Kamuli District.